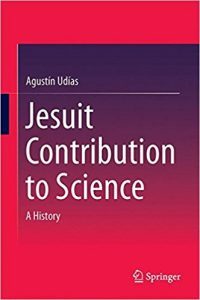 Agustín Udías has published Jesuit Contribution to Science: A History, through Springer. The text is both a comprehensive account of Jesuits’ scientific contributions and an analysis of the spirituality underlying that scientific inquiry. Udías profiles individuals, such as: Angelo Secchi, Stephen J. Perry, James B. Macelwane and Pierre Teilhard de Chardin. Update: The Journal of Jesuit Studies has reviewed Jesuit Contribution to Science (Volume 2, Issue 2).